Actor Jeffrey Stone died at his home in Penang, Malaysia, on August 22, 2012. He was born John Forrest Fontaine in Detroit, Michigan, on December 16, 1926. He spent much of his childhood in an Indiana orphange after the death of his father. He joined the U.S. Navy in his teens to serve during World War II. He began his career in films in the late 1940s with small roles in "You Were Meant for Me" (1948) and "Train to Alcatraz" (1948). He was a model for Prince Charming for Disney's 1950 animated classic "Cinderella". He was billed as John Fontaine for his roles in the films "Army Bound" (1952), "Battle Zone" (1952), "Fighter Attack" (1953), "Bad for Each Other" (1953), "Wonder Valley" (1953), and "Drive a Crooked Road" (1954). 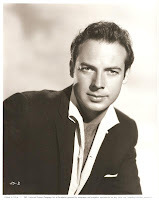 He starred as D'Artagnan in the Italian television series "I Tre Moschettieri" (aka "The Three Musketeers") in 1954, which also featured Paul Campbell, Sebastian Cabot, and Domenico Modugno Musketeers Aramis, Porthos, and Athos. Several episodes of the series were edited together for European theatrical release including "Knights of the Queen" (1954), "The King's Musketeers" (1957), "La Spada Imbattibile" (1957), "Le Imprese di Una Spada Leggendaria" (1958), and "Mantelli Espade Insanguinate" (1959). 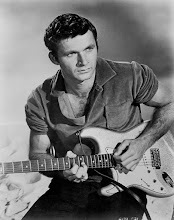 Stone was also seen on television in episodes of "Private Secretary", "The Californians", "The Loretta Young Show", "Johnny Midnight", "Richard Diamond, Private Detective", "The Millionaire", "Adventures in Paradise", "Death Valley Days", "Surfside 6", and "The Outer Limits". His other film credits include "Edge of Hell" (1956), the cult classic "The Girl in the Kremlin" (1957) with Zsa Zsa Gabor, "The Big Beat" (1958), "Damn Citizen" (1958), the horror film "The Thing That Couldn't Die" (1958), "Money, Women and Guns" (1958), the 1960 Mexican production "El Jinete Solitario' en El Valle de los Desaparecidos: La Venganza del Jinete Solitario" as Zorro, and the off-beat comedy "When the Girls Take Over" (1960). Stone wrote the story for the 1964 science fiction film "The Unearthly Stranger", and wrote and directed the 1966 feature "Strange Portrait". He left the film industry in the 1960s to travel throughout Southeast Asia and the Pacific over the next four decades. He wrote several novels set in Asia in later years including "Leters to Rainbow" and "The Other Side of Rainbow", and the autobiography "Whatever Happened to Prince Charming? A Memoir by Jeffrey Stone, the Original Prince Charming". Stone was married to actress Barbara Lawrence from 1947 to 1948, French actress Corinne Calvet from 1955 to 1960, and Christina Lee from 1965 to 1972. Born: 12/16/1926, Detroit, Michigan, U.S.A.